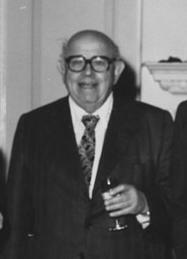 Nicholas Kaldor, Baron Kaldor (born Káldor Miklós) (12 May 1908 – 30 September 1986) was a British Cambridge economist in the post-war period. He developed the "compensation" criteria called Kaldor–Hicks efficiency for welfare comparisons (1939), derived the cobweb model, and argued for certain regularities observable in economic growth, which are called Kaldor's growth laws. Inflation and Employment in capitalist countries, in my own view, the change is the other way around: the constraints on the pressure of demand tend to be excessive, with the result that unemployment is much greater than can be justified by the needs of resource-allocation, and the rate of economic growth is appreciably less than it could be. The main reason for this is that the distribution of power and, ultimately, the distribution of incomes, changes in favor of labor the faster the economy grows and the nearer it is to full employment, and over a longer period it changes in favor of capital the greater the volume of unemployment. This is the real reason why the continuance of Keynesian policies after the war led to a recrudescence of long-discredited ideas that go by the name of “monetarism.” The main attraction of monetarism was not its intellectual simplicity— inflation is a matter of the money supply, period— but that it elevated the fear of inflation to the unique position which could not be justified by the experience of numerous countries who habitually suffer from it. The national predicament has obsessed public debate for five years now; all political discussion has revolved on it. In that time, innumerable unrelated or contradictory explanations for the crisis have been advanced by British economists. The most influential has doubtless been Kaldor’s, which attributes Britain’s post-war economic decline to a shortage of cheap labour from the primary sector, due to the uniquely rationalized English agriculture of the last century. The [seminar in economic theory conducted by Hayek at the L.S.E. in the 1930s] was attended, it came to seem, by all of the economists of my generation — Nicky [Kaldor], Thomas Balogh, L. K. Jah, Paul Rosenstein-Rodan, the list could be indefinitely extended. The urge to participate (and correct Hayek) was ruthlessly competitive. Though he died in 1946, Keynes still dominated economics at Cambridge in the mid-1960s. It wasn't just that all the leading figures among the faculty, Richard Kahn, Joan Robinson, Brian Reddaway, David Champernowne, Nicholas Kaldor, and James Meade, had been his pupils and/or collaborators. It was the tone of the place. The study of economics, theoretical or empirical, was driven by the desire to improve the conduct of economic policy. This did not mean that pure theory was neglected. Indeed, in those years Robinson was fighting a stirring battle in the realms of high theory with Paul Samuelson and Robert Solow from the Massachusetts Institute of Technology. Nor was Cambridge innocent of the cutting edge of econometric technique. Richard Stone, who, following Keynes's suggestions, had created the first modern national income accounts, was still director of the Department of Applied Economics where much of modern econometrics was pioneered. In 1977 my wife and I and our two young children spent the first of many summers in the comfortable, rambling house of Nicky and Clarissa Kaldor at 2 Adams Road. Nicky, too, had worked with Keynes as a young man, and he loved discussing (or rather expounding) economics. He was then obsessed by the need to save the world from the evils of 'monetarism', and would develop this theme for many hours at a stretch. I would ask questions, which he probably attributed to ignorance or incompetence or both, but which gave him fresh opportunities to lambast Milton Friedman and other assorted 'neo-classical' economists and free-trader. Nicky suffered from narcolepsy, and would often fall asleep in full flow, only to resume ten or fifteen minutes later at exactly the point he had left off. He was a wonderful and generous teacher and friend, and I learnt a great deal from these tutorials, though I had a strong intuition that he was fighting a losing battle against the forces of darkness. This page was last edited on 17 January 2018, at 21:20.